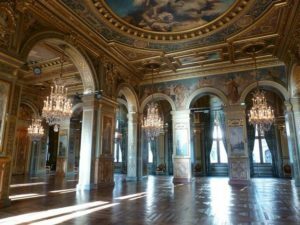 On the second day of the congress , Wednesday 10th, participants will enjoy the historical reception room of the Paris Town Hall – the Salon des Arcades- for a cocktail reception. This will be a unique time to meet colleagues from all around the world. Due to space limitations, access to the cocktail reception is limited to 400 people.Please, if you wish to attend, indicate it while registering. Additional tickets for accompanying person are available and will be charged 60€.